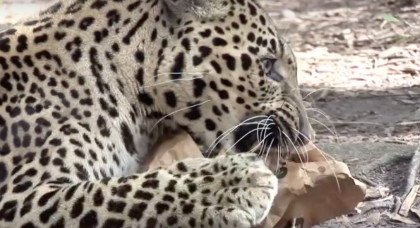 This cat makes the STRANGEST sound you’ve ever heard when he notices a bug on the wall. He obviously is trying to communicate in some special way with his humans to alert them, but that sound is just TOO MUCH. 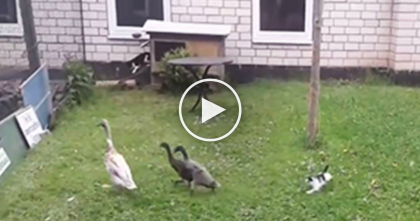 I’ve never heard a cat like this in my life, it’s probably the weirdest thing you’ll ever hear… I wonder if this cat was hanging out with the goats a little too much? It does make you wonder! I’ve never heard anything like before, omg!—SHARE this story with your friends and family! 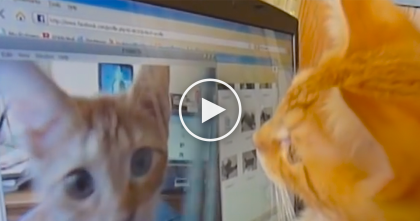 Kitten Notices Himself In The Screen, But Watch What His Expression… Just Hilarious! !